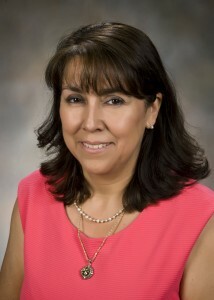 Claudia Espinoza has introduced Wright State University to the world. As program director for international student recruitment and strategic initiatives, Espinoza is a true ambassador for the university. She is a firm believer in the power of international education and is an accomplished professional in the field of international recruitment. Once a Wright State international student herself, Espinoza easily relates to international applicants and is eager to serve them in an exemplary way. From the very start of her employment at Wright State, Espinoza has advocated for fast, efficient, and caring service for current and prospective international students. Espinoza has a long list of accomplishments, including identifying sponsoring governments and establishing a working relationship between the university and cultural missions in such countries as Saudi Arabia, Kuwaiti, and United Arab Emirates. As a result of these relationships, hundreds of students have enrolled at Wright State. She is also responsible for making Wright State a destination for several Fulbright-sponsored international students from diverse regions in the world by reaching out to the program directors to secure some cost-sharing for these selective applicants. Espinoza is also highly motivated and creative. In an effort to introduce Wright State to future international undergraduate students, she designed and is currently implementing the Wright State International Summer Camp program. Building international relationships requires flexibility and willingness to go the extra mile to meet sponsoring advisors’ needs. It requires a positive outlook and a can-do attitude—two of the many traits that Claudia Espinoza embodies.